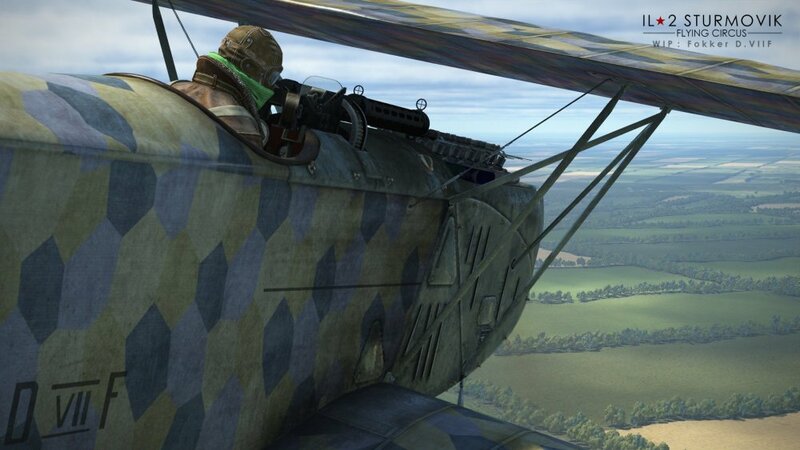 One week has passed since our previous Dev Diary and we have something new to show you once again. The rate of development is truly fantastic. 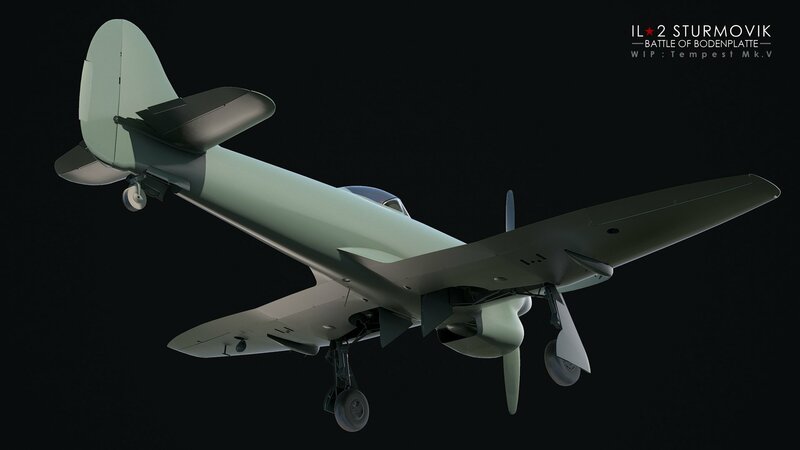 Today we won't have so much text but will compensate it with WIP screenshots of two 'stars' of our Bodenplatte project. 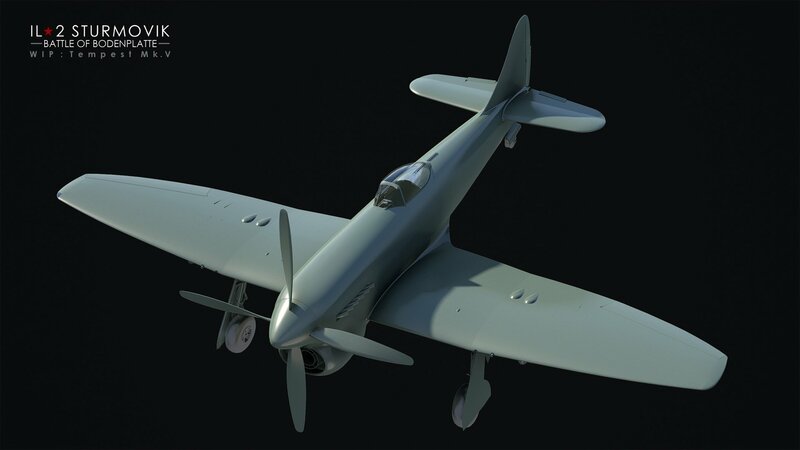 The first star of today's Blog is the British fighter Hawker Tempest Mk.V series 2. These planes played a significant role in the events of January 1st, 1945 - the units managed to take off in time when Luftwaffe attacked the Allied airfields during Bodenplatte operation. 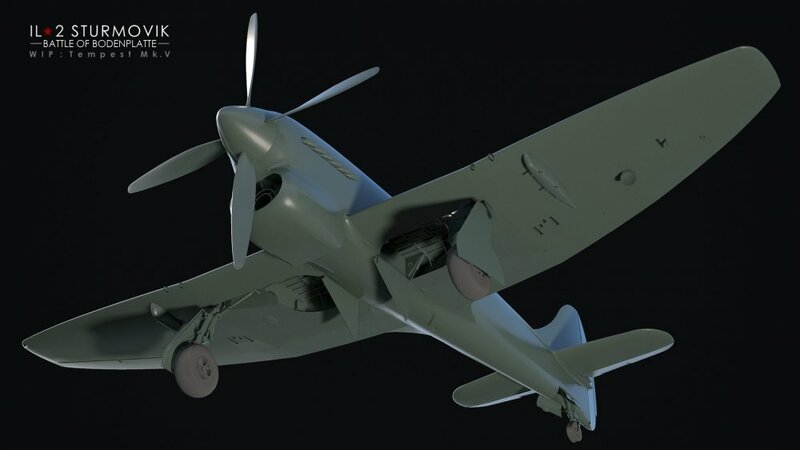 Tempests were equipped with some serious firepower - four 20mm Hispano guns - and achieved good speeds at lower altitudes, which was handy for a dogfight near the ground. 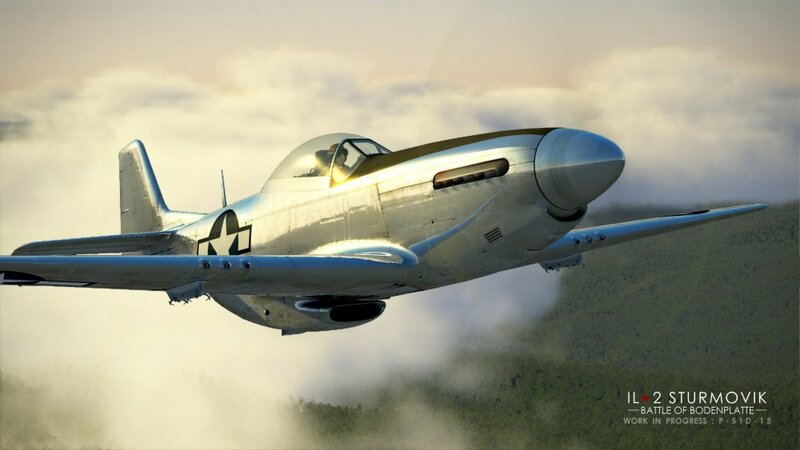 The second aircraft we want to show you today is USAAF North American P-51D-15 Mustang, the most famous American fighter of WWII that was widely used in different theatres of war. 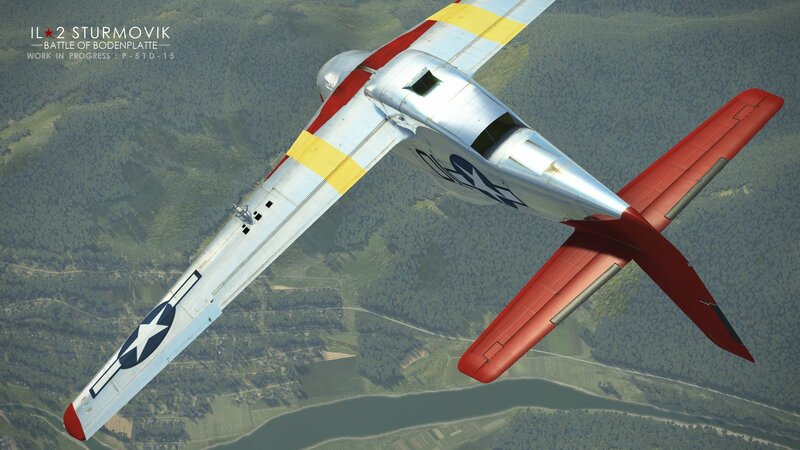 To a degree, its exceptional range and altitude capabilities made the deep bombing raids over Germany possible. 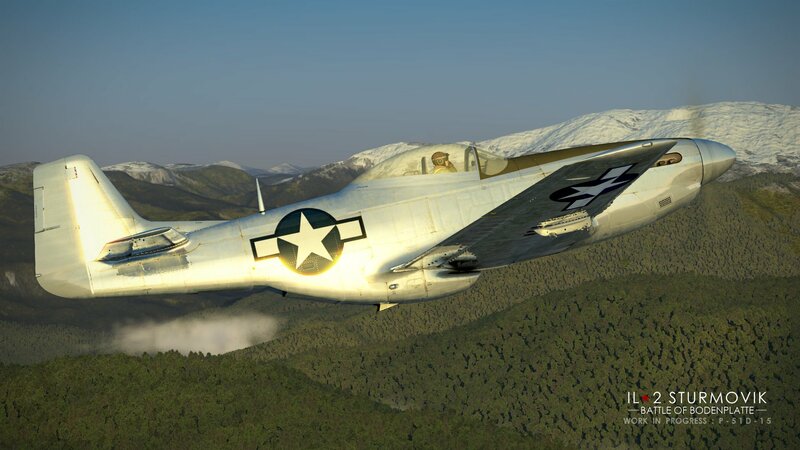 Mustangs had good overall maneuverability and climb rate, while their six .50 cal M2 Browning machineguns allowed them to engage any air targets. 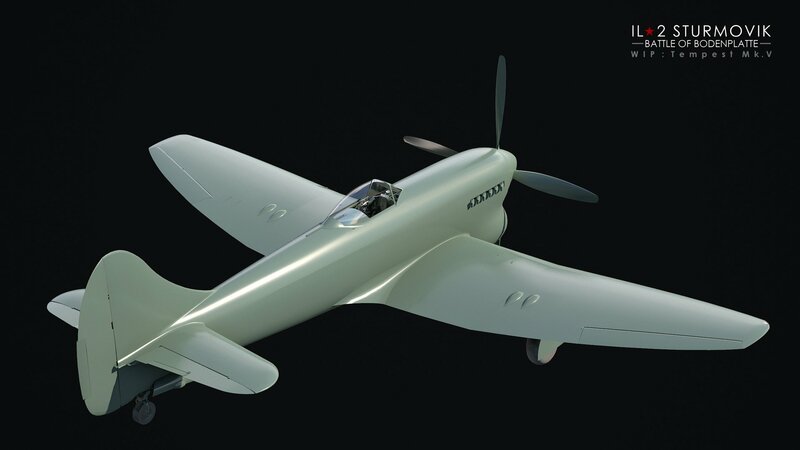 A Mustang could also carry bombs and rockets, making it a fighter/bomber. 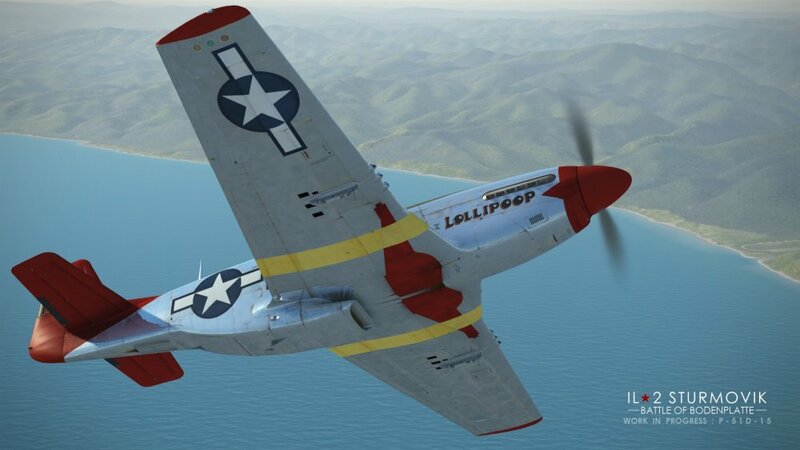 It should be noted that while many Mustangs still exist around the world, including airworthy ones, most of them are combinations of different modifications, including post-WWII ones. Therefore we're spending a lot of time researching tech schematics, spare parts catalogs, and similar documents to make sure the final result will be as authentic as possible. 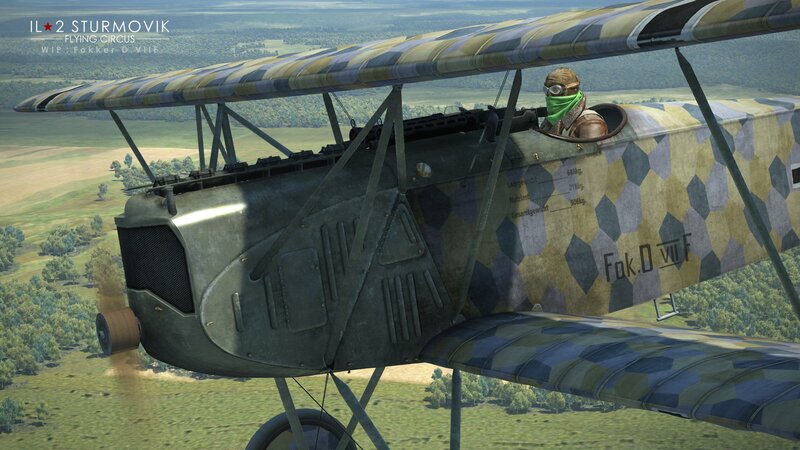 And to finish today's blog, here are WIP screenshots of the next Flying Circus plane - Fokker D.VIIF. 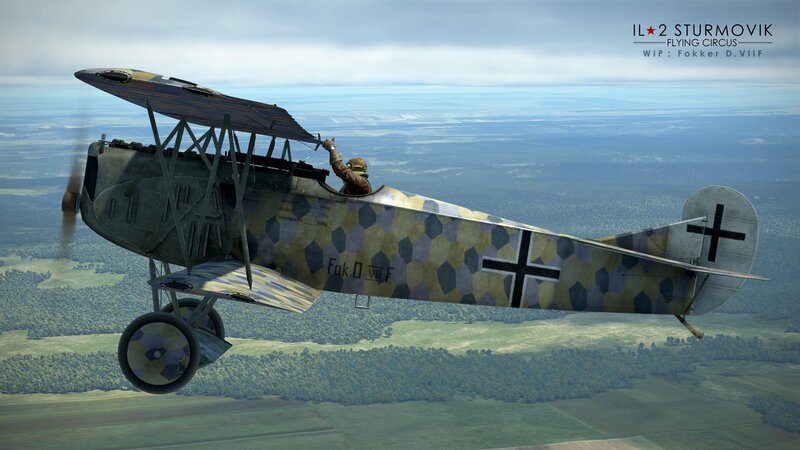 This Deutsche Luftstreitkräfte late WWI fighter has been equipped with a great engine for its time, BMW D.IIIa, that gave it an advantage over Allied fighters at high altitudes. 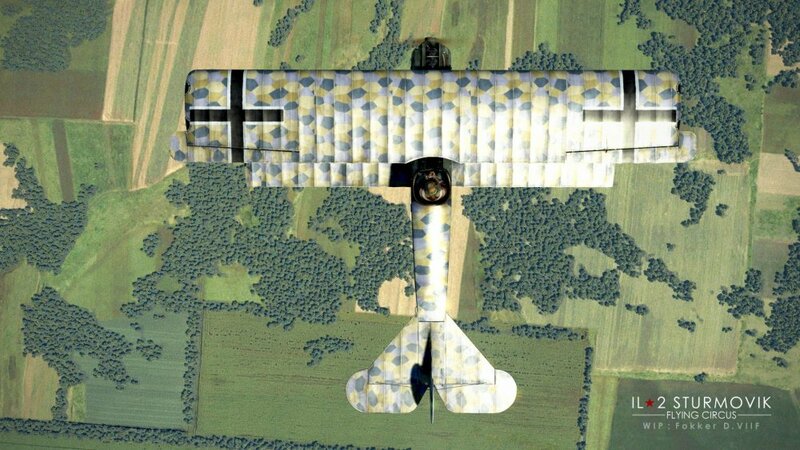 Coupled with good maneuverability, it made Fokker D.VIIF a very dangerous adversary.